StepLine Series is similar to the Line Series. The difference is that the StepLine Series connects its points through horizontal and vertical line instead of a straight line. The RisersPosition property defines the end of the first and the begining of the second line. StepLineSeries class inherits from the LineSeries class - See the inherited properties. 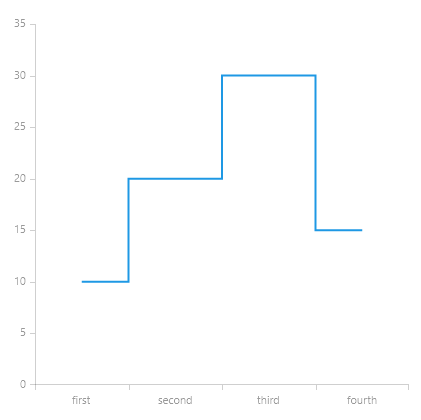 Here's an example of how to create a RadCartesianChart with StepLineSeries.